For over 30 years, Medical Aid for Palestinians (MAP) has been reaching out to Palestinian communities, striving to deliver health and medical care to those worst affected by conflict, occupation and displacement. Between 16 and 18 September 1982, Lebanese Phalangist militants entered the central-Beirut refugee camp of Sabra and Shatila and killed and injured hundreds of unarmed Palestinian and other civilians inside. The camp’s residents were defenceless. The Israeli army, who had invaded Lebanon earlier that year and had surrounded the camp, had full knowledge of what was taking place inside, yet they never intervened. Instead, they illuminated the camp throughout the night by flares launched into the sky from helicopters and mortars. Working in a hospital inside the camp at the time was a young orthopaedic surgeon from London, Dr Swee Chai Ang. Refusing to leave the hospital, Dr Ang worked tirelessly to save the injured and protect her patients during the massacre. On her return to London, Dr Ang joined with fellow medical professionals and humanitarians to establish Medical Aid for Palestinians (MAP), in order to send out doctors and nurses to work in the Palestinian refugee camps and provide front-line care. Since then, MAP has been reaching out to Palestinian communities, striving to deliver health and medical care to those worst affected by conflict, occupation and displacement. Today we have offices in the West Bank, Gaza, Jerusalem, Lebanon and London. With our extensive local knowledge and experience, we work closely with communities, hospitals, clinics and healthcare providers to coordinate care and medical aid even where there are severe restrictions on access. The Baroness Morris of Bolton OBE DL - Baroness Morris became a life peer in 2004 and has served as the Shadow Minister for Education, Children, Families & Women and as a Shadow Work and Pensions Spokesperson. Since 2007 she has also been a member of the Board of Trustees of UNICEF UK and in 2009 she became the President of World Travel Market. Baroness Morris is the Prime Minister's Trade Envoy to Jordan, Kuwait and the Palestinian Territories and was Chair of the Conservative Middle East Council. Dr Swee Chai Ang FRCS - A founding Trustee of MAP, she is an orthopaedic consultant surgeon at the London and St Bartholomew's Hospital Trust. Working in Beirut during the 1982 invasion, she also witnessed and survived the massacre at Sabra and Shatila, writing "From Beirut to Jerusalem" about her experiences. She returned to London to help form MAP and, as the first chair of the projects committee, helped launch the volunteer programme in 1985. She has also co-authored the "Manual of War Surgery" and received the coveted 'Star of Palestine' award from the late President, Yasser Arafat. Baroness Helena Kennedy - Helena Kennedy is a barrister, broadcaster and Labour member of the House of Lords. She is an expert in human rights law, civil liberties and constitutional issues and chair of Justice - the British arm of the International Commission of Jurists. Mr Isaac Nusseibeh MBCHB, LMSSA, FRCS - is a Palestinian refugee from Jerusalem. He became a pioneering senior Consultant in Spinal Injuries and Paralysis at Stoke Mandeville Hospital, where he served from 1974 - 2007. While working at Stoke he was invited by many countries to treat patients and teach doctors. He also lectured at UCL to postgraduates, where he was a Director of a special course dedicated to treatment of paralysis and rehabilitation, and worked extensively with Middle Eastern patients. He was also the Honourary Secretary Of The International Medical Society For Paraplegia, has worked with MAP from its creation and was a Board Member before retiring in 2008. Sir Terence English - A Former President of the Royal College of Surgeons, and the surgeon who carried out the first successful heart transplant in the United Kingdom. Rt Hon Lord David Steel of Aikwood KT KBE PC - Former leader of the Liberal Democrat Party and President of MAP between 1997-2004. Steven James - Former Chief Executive of MAP between 2008 and 2013, and has served as a Trustee since then. Before joining MAP, Steve was a Regional Chief Executive of a major multinational company with experience across 4 continents - in particular across the Middle East. After leaving the industry, Steve made the transition to the charity sector - initially as Chief Executive of the St John of Jerusalem Eye Hospital in East Jerusalem, before moving to MAP. Siham Bortcosh - Qualified accountant with many years experience working in the voluntary sector, in particular with international humanitarian and development organizations as a finance director and in a freelance capacity. Siham is also the independent chair and convenor of a seminar series for the finance directors of large international non-profit agencies. She has a BA (Hons) in Mathematics from St John's College, Oxford, and a BSc (Hons) in horticulture from the University of Essex. She joined as Treasurer for MAP in February 2013. Jean Bowyer DM, FRCPCH – Jean is a paediatrician who has worked extensively in the Middle East and East Africa. Her particular interests are in the newborn, disability and global child health, and also in the professional education and training of all types of health worker. She is senior tutor for the Masters programme in Child Health at Al Quds University in Jerusalem. In Uganda and Kenya she has been involved with improving the care of children with HIV and malaria, and with better training and systems for emergency care. Sir Vincent Fean - served as British Consul-General to Jerusalem from 2010 to 2014. He joined the Foreign and Commonwealth Office in 1975, and previously served as HM Ambassador to Libya (2006 – 2010) and British High Commissioner to Malta (2002 – 2006). Now retired, Sir Vincent joined the MAP Board of Trustees in 2015, and is also patron of the Britain-Palestine Friendship and Twinning Association. Mr Andrew Karney - Andrew has had a long interest in Palestinians, having worked as a teacher for UNRWA in Gaza almost 50 years ago. More recently, he has been an independent director of the Guardian Media Group, chairman of Integrity Action, an international NGO seeking to bring about integrity reforms and chairman of Language Line (a telephone interpreting company). He was for many years an executive director of Logica plc, the international computer systems company. Currently he serves as a director of a venture capital trust. Mr Johnny Rizq - Chair of Fundraising Commitee. Following a 30-year career in journalism and international banking Johnny Rizq now runs his own management consulting business specialising in financial services. His work has taken him to most countries in the Middle East, as well as to parts of Africa, Eastern Europe, and Central Asia. He has a degree in Economics from the American University of Beirut. He joined the Board of Trustees, as Treasurer, in 2009. Dr Phyllis Starkey (Vice-Chair) - Dr Phyllis Starkey was a Labour Member of Parliament (1997-2010) and Chair of the Communities & Local Government Select Committee (2005-2010). During her parliamentary career she took a particular interest in the Middle East, visiting Palestine, Lebanon, Syria and Jordan and chairing the All-Party Palestine Group. Dr Starkey is a biochemist and before entering parliament she had a distinguished career in medical research and was Lecturer in Obstetrics & Gynaecology at Oxford University. Prof. Graham Watt MD FRCGP FRSE FMedSci CBE - Emeritus Professor,General Practice and Primary Care, University of Glasgow. Professor Watt is an elected Fellow of the UK Academy of Medical Sciences and the Royal Society of Edinburgh. He has longstanding links with Palestinian academic colleagues at Birzeit University and the University of Hebron and currently chairs the steering group of the Lancet Palestinian Health Alliance. In the UK he initiated the General Practitioners at the Deep End movement, comprising collective alliances of general practitioners serving very deprived populations. This is his second term as a MAP Trustee, having served previously from 2006-15. As any fool knows (no offence intended) Israel has since 1948, been part of Europe (by adoption) despite killing and expelling the British (besides hundreds of thousands of resident Palestinians that don't count of course). Americans love it too despite it killing them also. So I am sure we should all join in rejoicing it winning the Eurovision Song Contest (whilst it simultaneously carries out at least 70 bombing raids in Syria and Gaza!) as confirmation that the murdering state of israel is part of one big, happy, killing, western family. 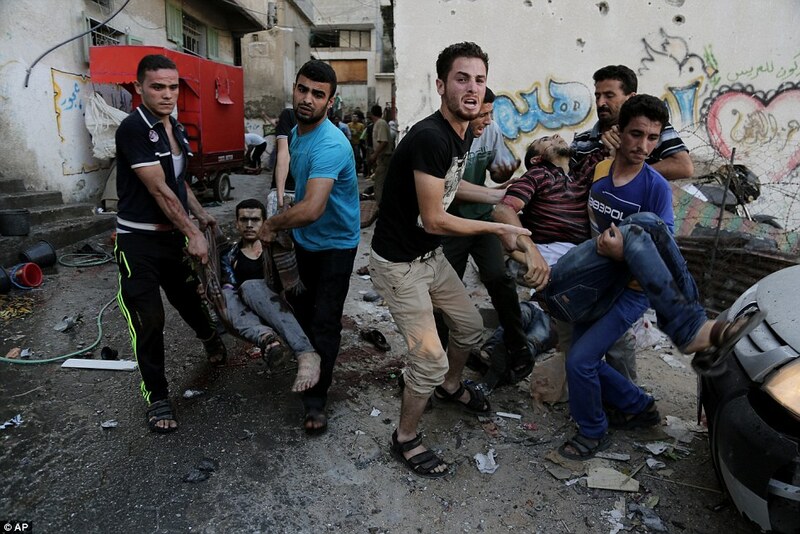 The BBC reports yet another sixty - yes SIXTY - Palestinians "killed". Not sixty unarmed Palestinians shot dead in cold blood. Not brutally murdered, you notice. This besides literally thousands severely injured. According to Jeremy Bowen "Sixty is a big number" and it's just a matter of two groups fighting over the same plot of land. No Jeremy it's more than that. It is a people protesting against repression and tyranny suffered with Western and Arab Nation complicity, for SEVENTY years. It is about Jewish immigrants stealing and damaging their property and subjecting them to economic strangulation and every sort of human rights insult and privation. It is about them being free to shoot dead their children on some pretext or other and to bomb neighbouring countries, all with a wink and a nod from the devious and immoral West. No other country in the world would be allowed to get away with this unjustified and horrendous massacre of civilians protesting against a barbaric regime and philosophy. 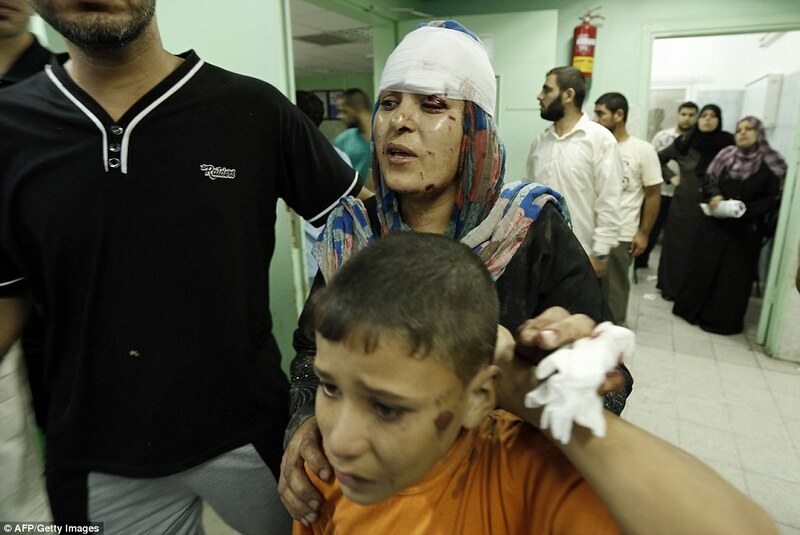 Shame on Israel with its weasel words. Shame on the world. Shame on us.